If you want to grow vegetables to save money on your groceries, you're not alone. A 2008 National Gardening Association (NGA) survey revealed that many Americans are opting to have a vegetable garden. Learn more about this study and what it means to you in the in exclusive interview with Bruce Butterfield, the association's Market Research Director. As the Market Research Director for the National Gardening Association, Bruce Butterfield is responsible for conducting the annual National Gardening Survey, among other studies, that reveal the latest trends in home gardening among consumers in the United States.According to Butterfield, "At NGA we track lawn and garden trends each year. 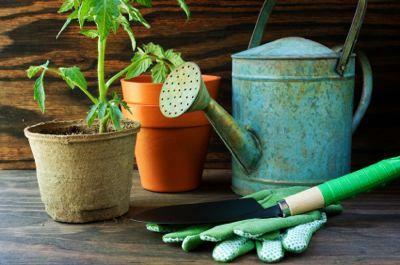 Since we had been hearing about an increased interest in food gardening last year, we felt it was important to document if this was true and see what people's food gardening plans were for this year." According to the 2008 report, The Impact of Home and Community Gardening in America, there will be an increase in people planting food gardens with a substantial percentage (21 percent) of these being new to gardening. So, if you are thinking of starting your own food garden you are not alone. When asked what was learned by this year's study, Butterfield said "We found that food gardening will increase by 19 percent in 2009 if people follow through with what they said they plan to do." "When asked why they are planting food gardens this year, people said for better tasting, quality food, to save money, and getting back to basics in the economic downturn," he continued. Butterfield stated that he was surprised to learn that many new gardeners are young mothers with children. But are they primarily learning to grow vegetables to save money? According to Bruce, this is just one of many reasons. He explained, "In general I think many people want to have a source of fresh vegetables they grow themselves so that they can feel more self-sufficient." According to the study, 58 percent of respondents grew their own vegetables because the felt home-grown foods tasted better. Those who decided to grow vegetables to save money were a close second at 54 percent. Is it reasonable to expect to save money by growing your own food garden? "Yes, a well-maintained food garden can supply a range of fresh vegetables throughout the growing season. The average food garden in the U.S. is 300 square feet in size and can yield $600 worth of produce." said Bruce. This high yield is with approximately a $50 investment in supplies, seeds, plants and other needs to get a garden going. New gardeners will want to know how to get such great results, especially if the are growing food gardens to save money. According to Butterfield, there are many resources to help newbies learn the ropes. "There are lots of good resources - ask friends, neighbors and relatives, your local Extension Service, and visit the NGA web site at Garden.org. "Of course, experience is the best teacher. If one crop isn't successful, don't be discouraged. There are endless varieties of fruits and vegetables that you can grow. The best advice is to start small and increase your garden space as your expertise grows. This will allow you to be successful without getting overwhelmed with a huge garden before you are ready for it. LoveToKnow would like to thank Bruce Butterfield for taking the time for this interview. Learn more about the National Gardening Association by visiting Garden.org and get stared on your food garden. Soon you'll see that there are few things more satisfying than growing your own foods. If you're thinking about starting your own garden, see the following slideshows for tips and suggestions.